At the helm, the innovative Eletrconic Power Steering system gives you a similar sensation to driving a top of the range car. 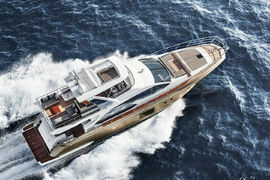 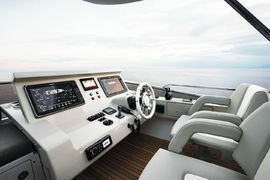 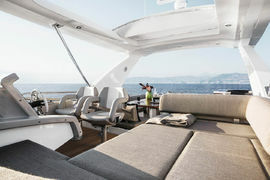 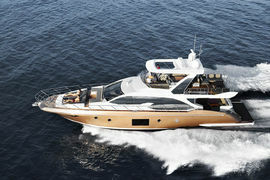 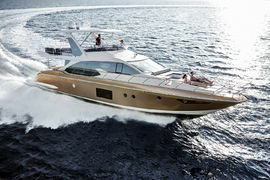 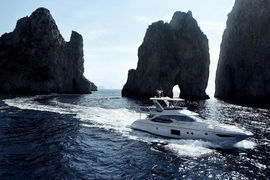 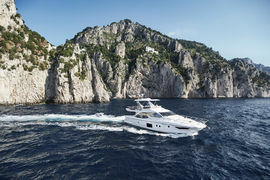 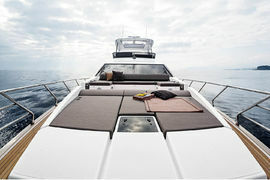 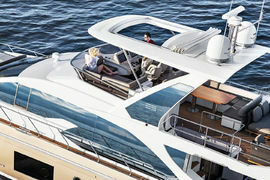 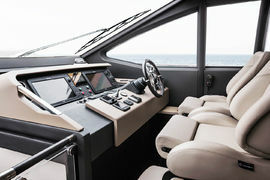 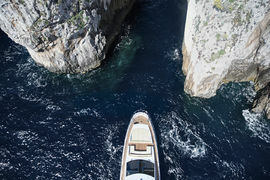 The owner can configure the responsiveness of the helm by regulating wheel turns and steering effort acccording to speed. The system also has the additional benefit of eliminating the hydraulic piping between the helm station and the rudder compartment. 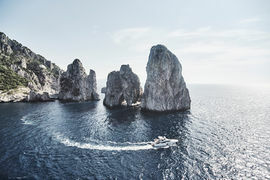 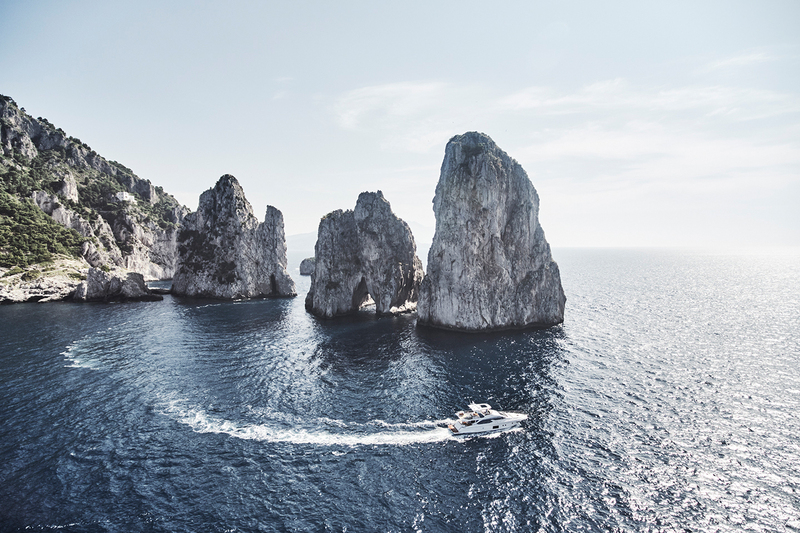 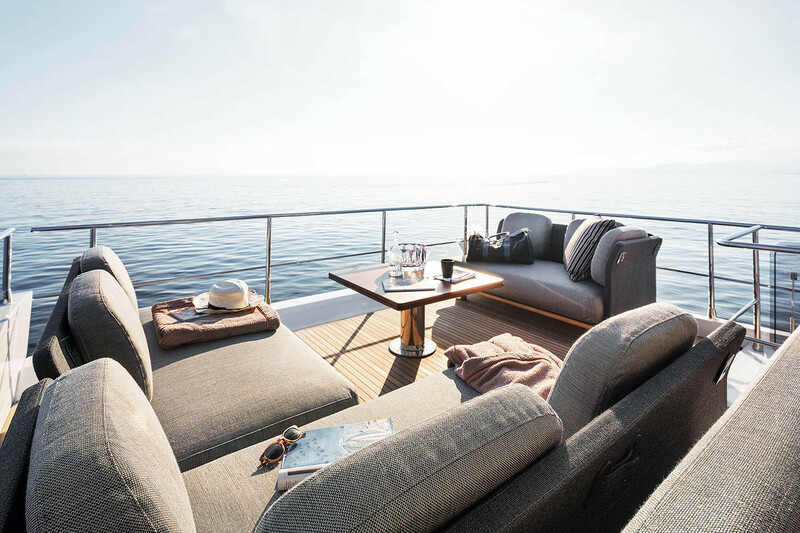 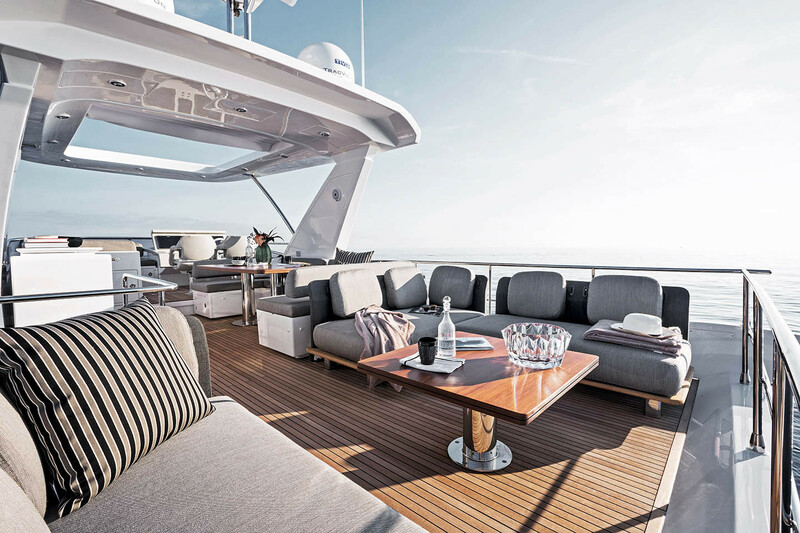 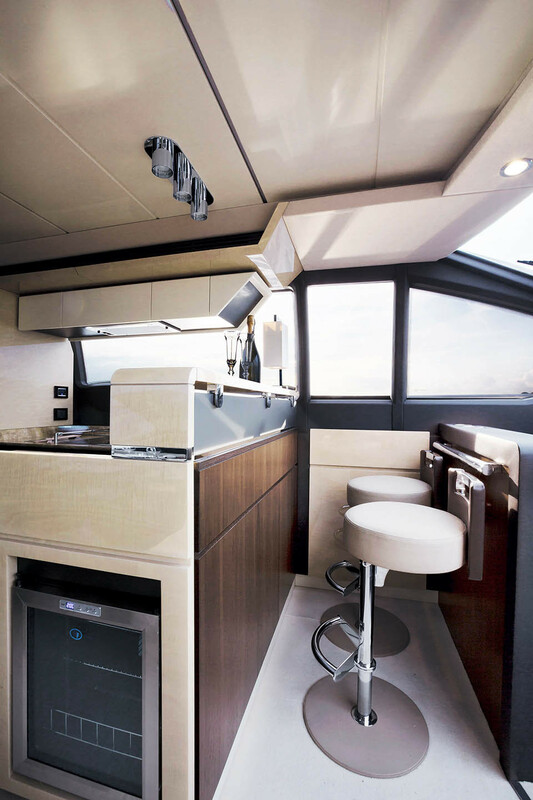 The integrated control system by Raymarine has been customised to increase control potential: from engine data and alarms, to bilge and water discharge pumps, tank levels and engine room ventilation, right through to the sound system and the air conditioning units. 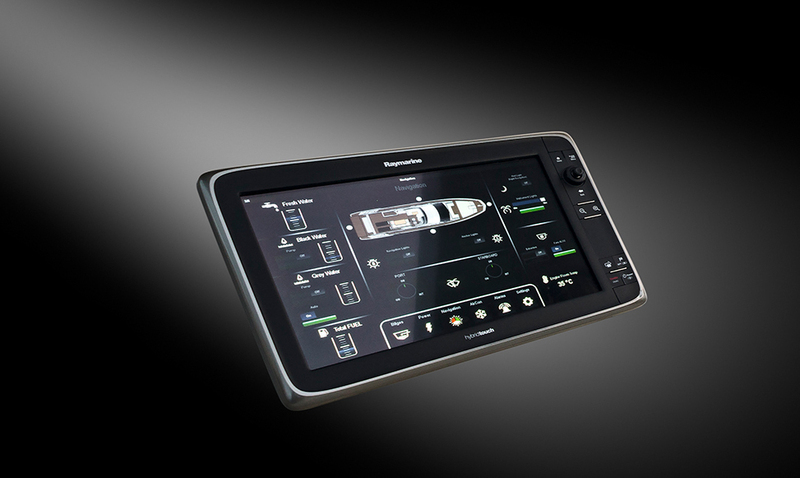 The system can be accessed from both helm stations and remotely from a tablet. 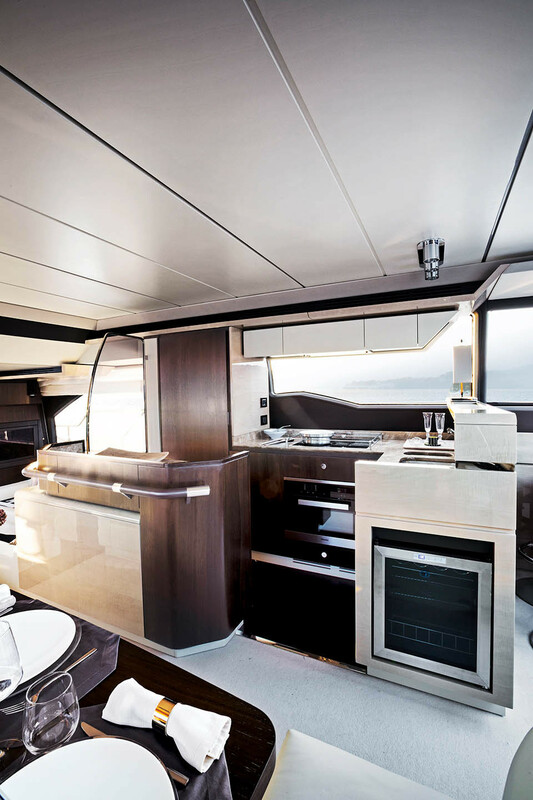 The onboard home automation system can be used to store up to three mood lighting environments in the living and dining area. 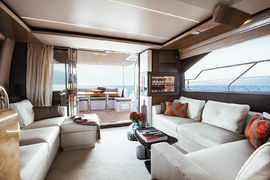 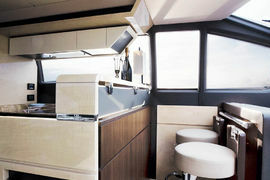 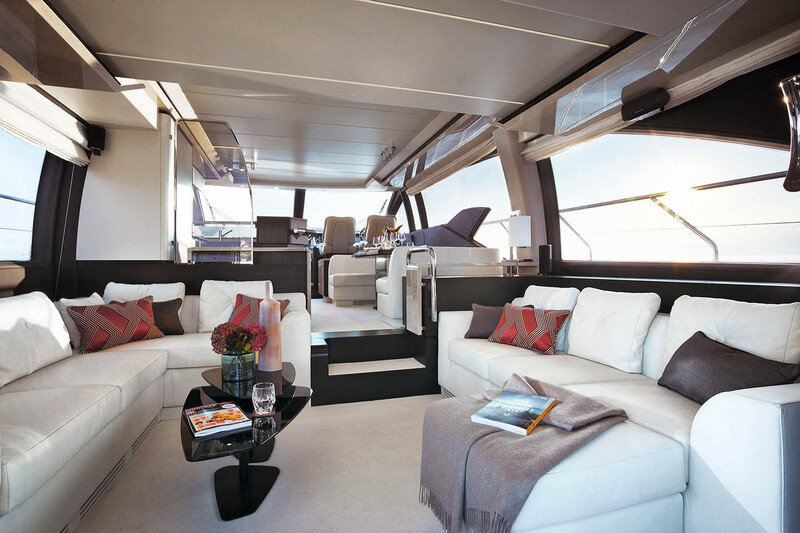 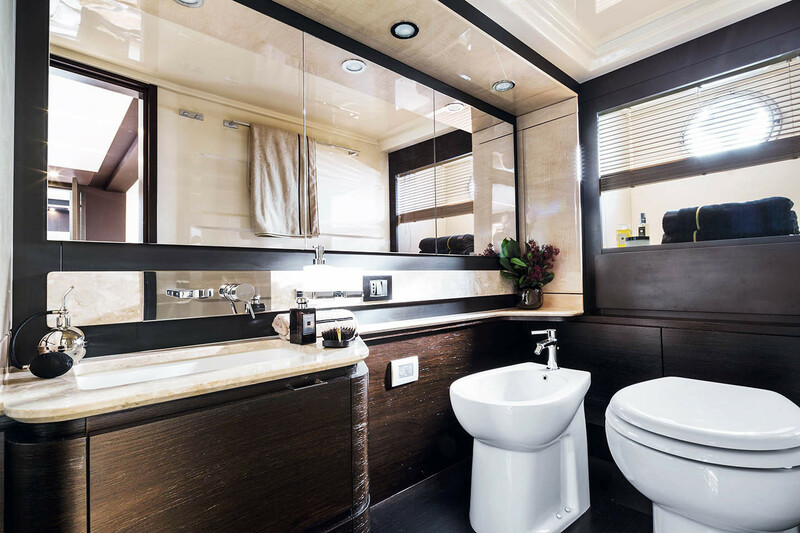 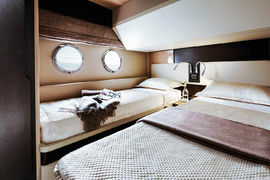 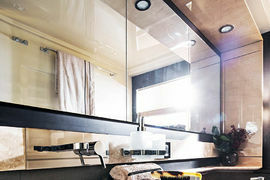 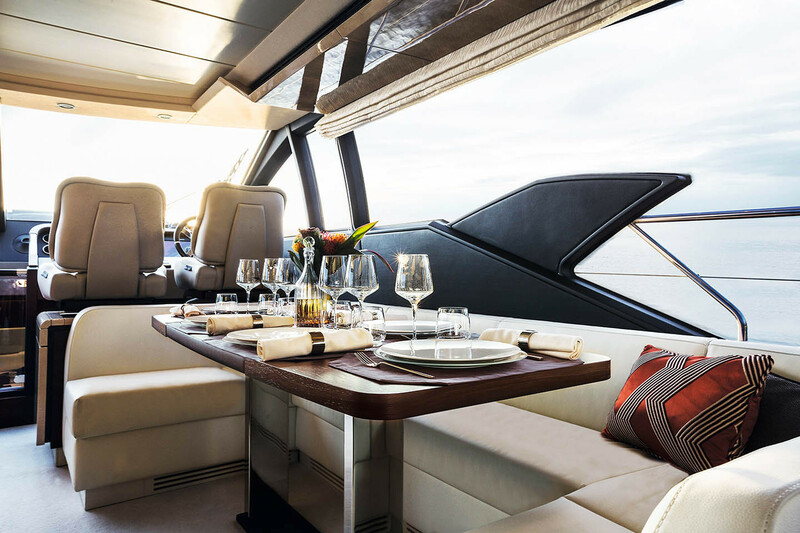 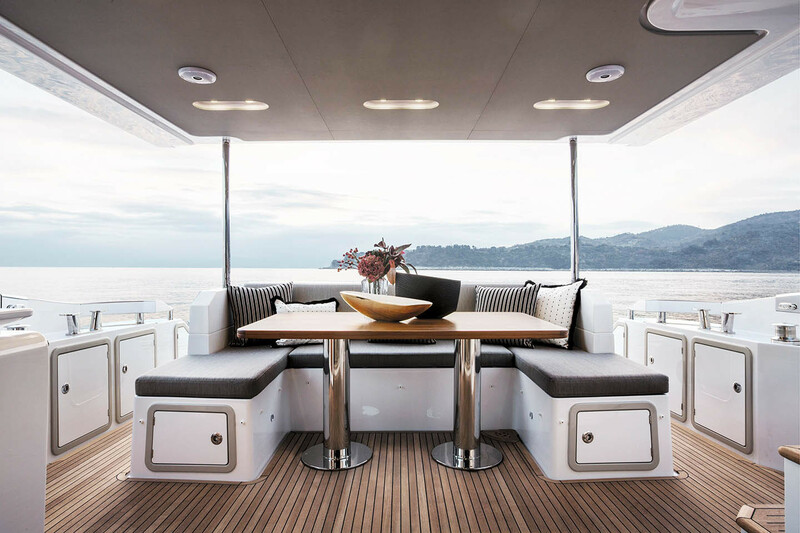 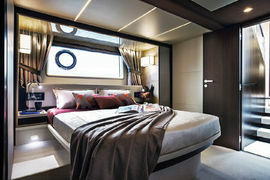 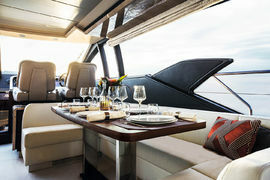 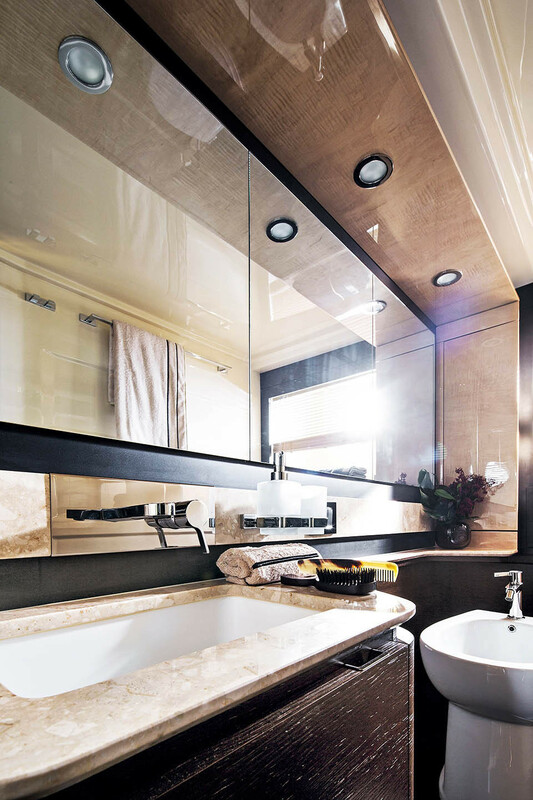 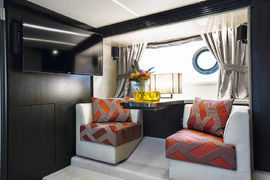 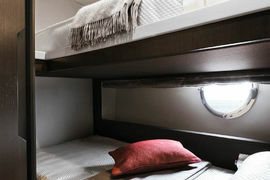 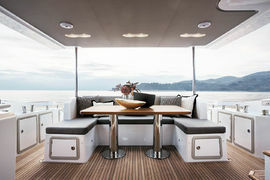 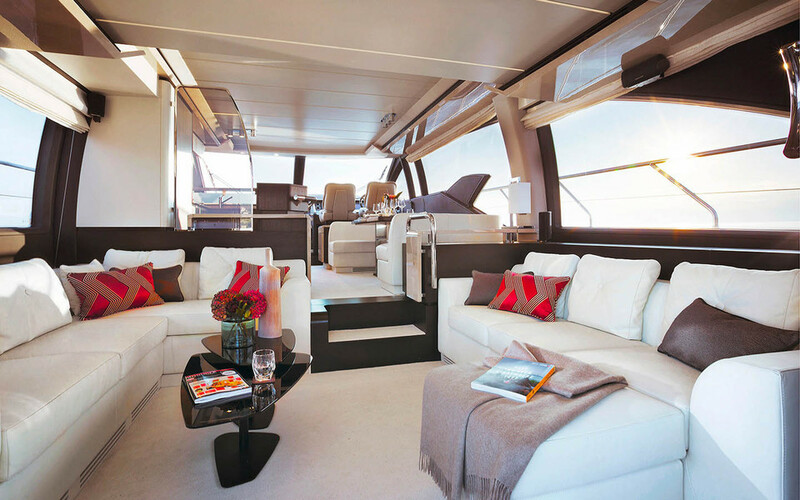 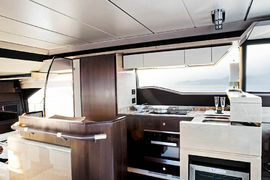 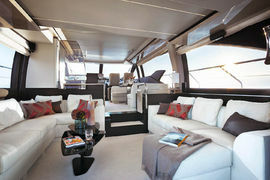 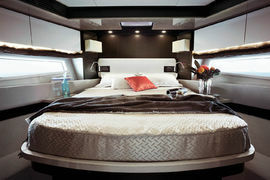 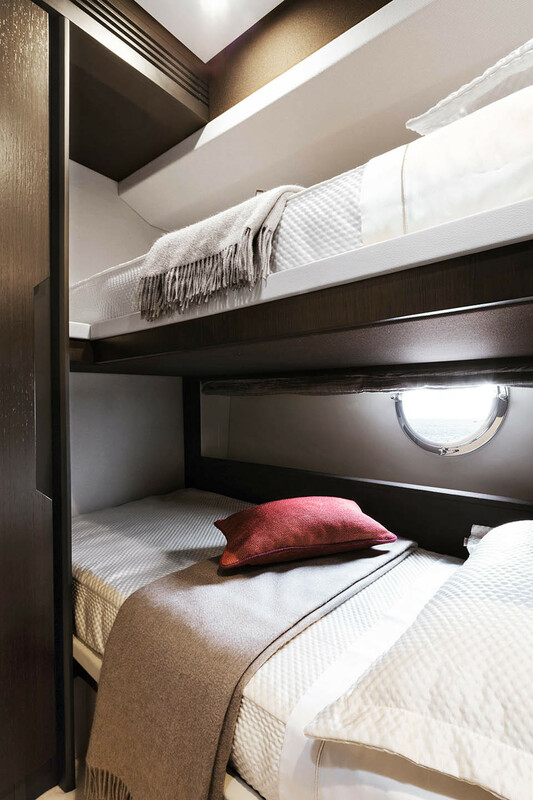 In additional, an electrical frosting divider between the galley and living rea can be obscured to provide maximum privacy only when it's needed. 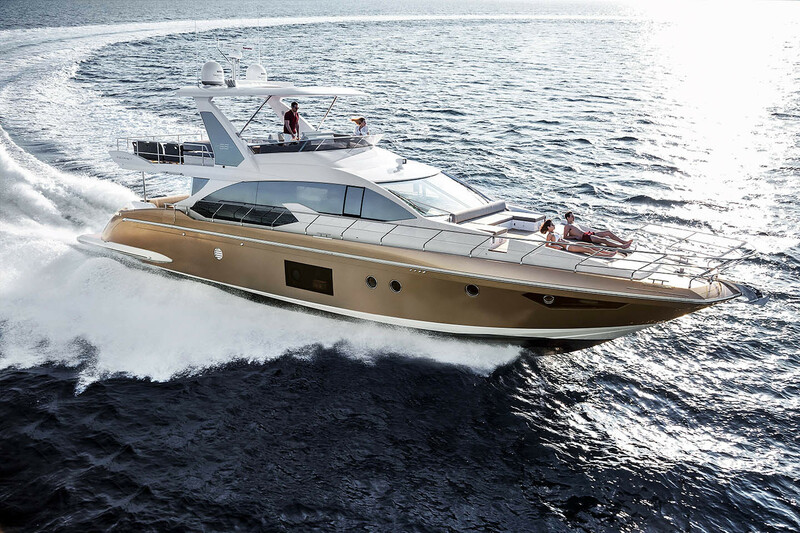 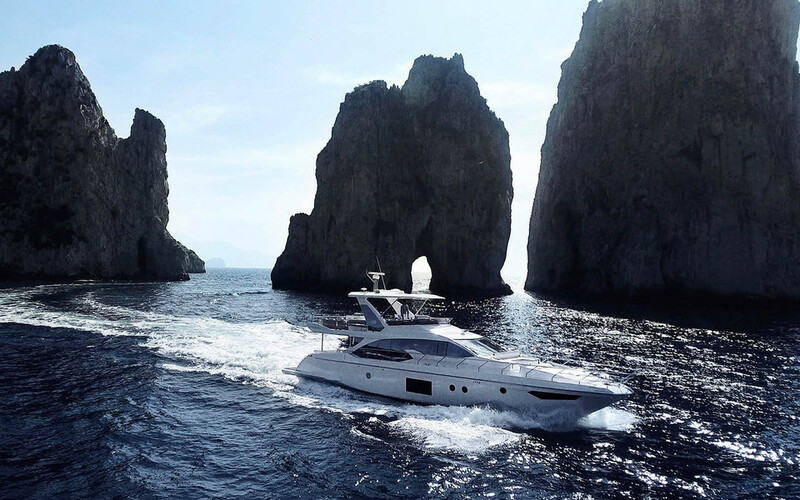 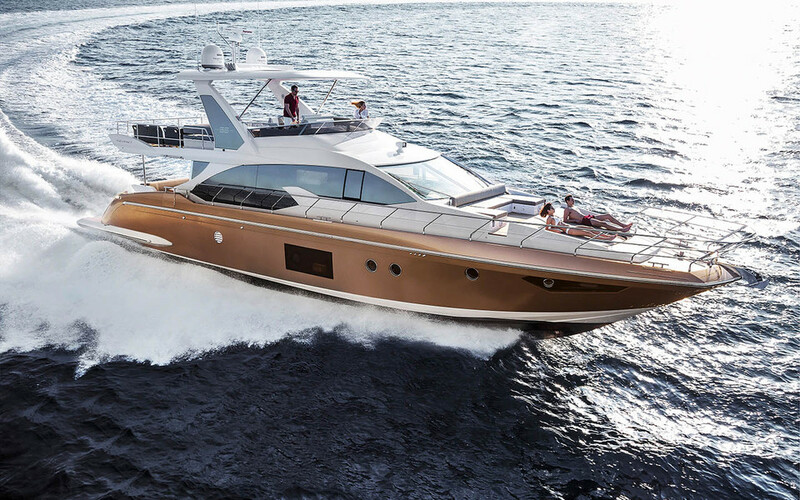 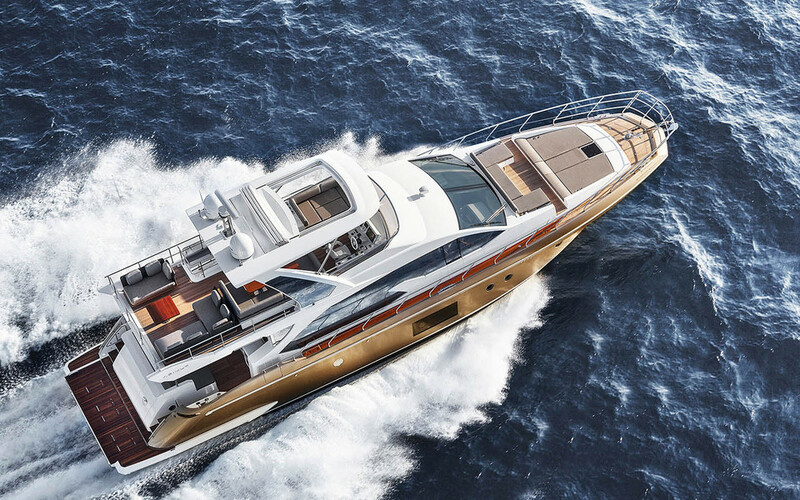 Azimut 66 has been designed and engineered according to the highest standards applied in the recreational industry for production boats. 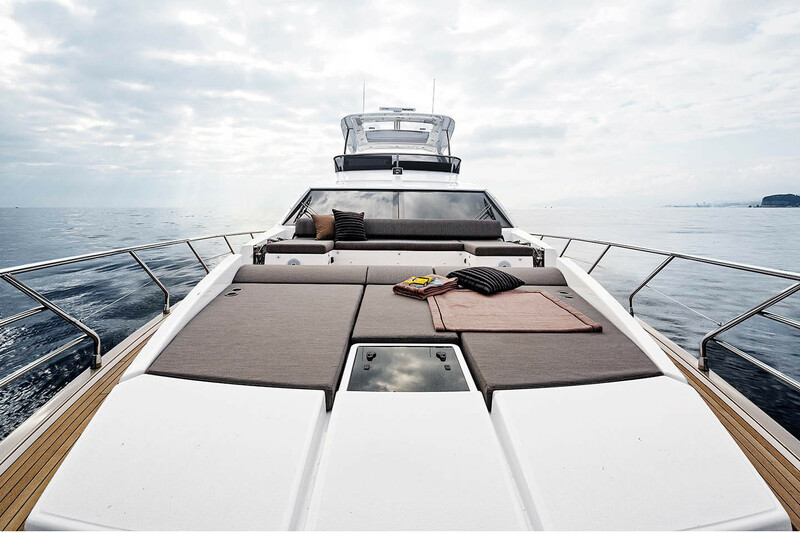 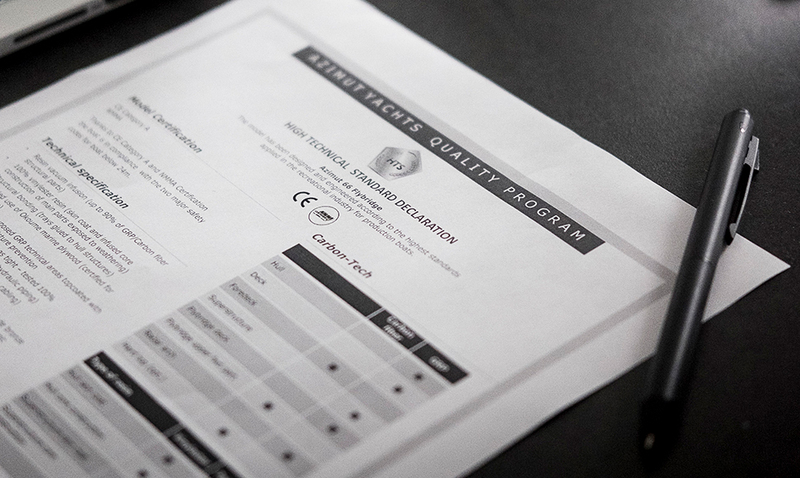 With CE Class A and NMMA Certification, the boat is in compliance with the two major safety codes for boats under 24 meters.